The most popular and common cycle followed for Torah reading is based on an annual cycle. Attached is a list of 54 weekly Torah Portions making up this annual cycle - beginning and ending on the Jewish Holiday of Simchat Torah . The lunisolar Hebrew calendar contains up to 55 weeks, the exact number varying between leap years and regular years. However, one week is always Passover and another is always Sukkot, while the final parasha, V'Zot HaBerachah, is always read on Simchat Torah. Therefore, there are in practice up to 53 available weeks for 54 portions. In years with fewer than 53 available weeks, some readings are combined to achieve the needed number of weekly readings. In Genesis there are twelve Sabbath parashot, in Exodus eleven, in Leviticus and Numbers ten each, and in Deuteronomy eleven. They are named from and quoted by the first words. A study into the history of Torah reading reveals that it was early custom to have a three year cycle of these lessons. The Torah was therefore divided into 154-175 sections. In the course of time the annual cycle was adopted, and is now accepted by nearly all Jewish communities. 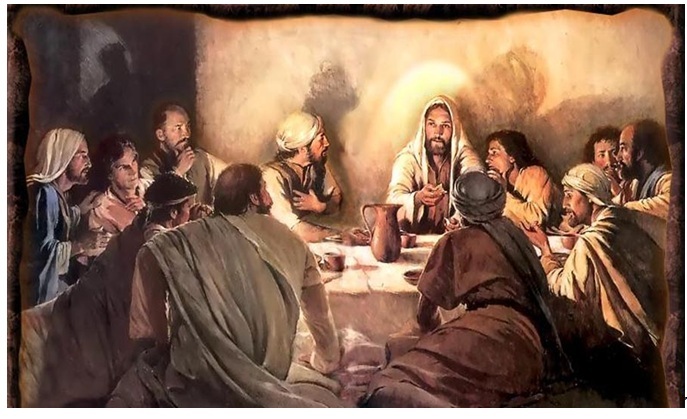 This Friday evening (Shabbat-19 April) is the Passover and the start of the feast of Unleavened Bread for seven days. Is a 14th Passover High Sabbath new? Is Passover A Feast Day ? When is the Seventh Day of Unleavened Bread ? Septuagint - Does it teach the 14th or the 15th?